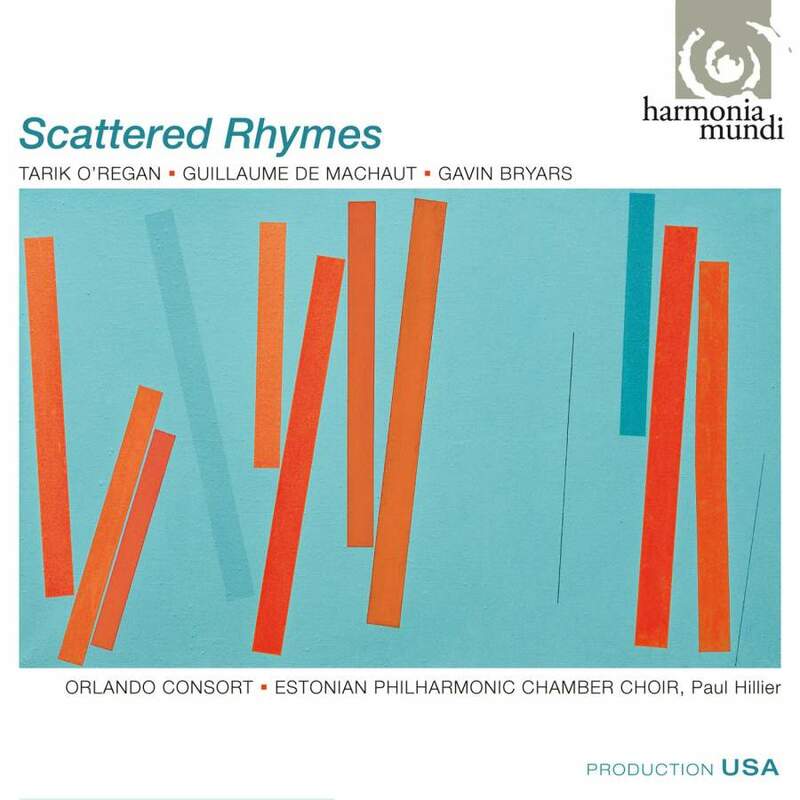 On this fascinating recording, Paul Hillier leads the Estonian Philharmonic Chamber Choir and the Orlando Consort in the world premiere recording of Scattered Rhymes - a vibrant and powerful new work by Tarik O'Regan (born 1978). O'Regan, a two-time British Composer Award winner, was educated at Oxford University and completed his postgraduate studies at Cambridge, where he was subsequently appointed Composer in Residence at Corpus Christi College. O'Regan now divides his time between Trinity College, Cambridge and New York City, where he has held the Fulbright Chester Schirmer Fellowship in Music Composition at Columbia University and a Radcliff e Institute Fellowship at Harvard. In Scattered Rhymes (2006), the composer combines two fourteenth-century texts that toy with the ambiguities of intertwining sensuous and divine love. To reinforce the work's medieval connections, Scattered Rhymes is designed to be framed or paired with Guillaume de Machaut's Messe de Notre Dame (circa 1364). This seminal work is brilliantly performed here by the Orlando Consort. Completing this inventive program are two motets: Ave Regina Coelorum by Guillaume Dufay (c. 1400-1474) and the haunting Super Flumina by Gavin Bryars (born 1943).